Mercy Aigbe stairs cultism speculations. 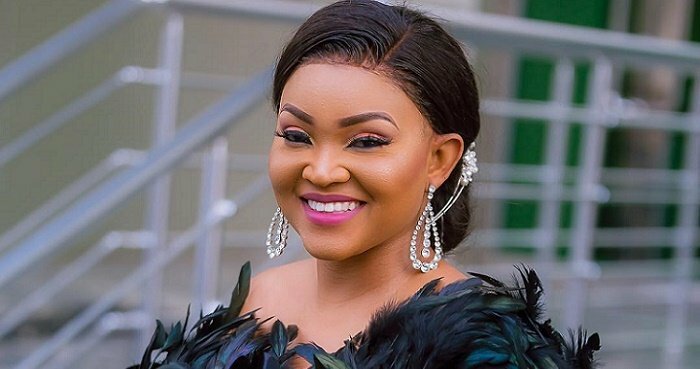 Nollywood actress, Mercy Aigbe, has got fans accusing her of being a cultist, for a recent post on her Instagram page. The actress posted a picture of herself wearing a black top with a suspicious inscription. The inscription read: Black Bra Queen. She also posted the picture with a caption which she later deleted: I love been a black bra queen.